Pearson Lecturers give two lectures — one is broader in scope and meant to appeal to a diverse audience (February 12th), and a second that is more focused and technical (February 13th). The lectures will both be at 4pm in ESB 1001. Entropy, information, and order are important concepts in many fields, relevant for materials to machines, for biology to economics. Entropy is typically associated with disorder; yet, the counterintuitive notion that particles with no interactions other than excluded volume might self-assemble from a fluid phase into an ordered crystal has been known since the mid-20th century. First predicted for rods, and then spheres, the thermodynamic ordering of hard shapes by nothing more than crowding is now well established. In recent years, surprising discoveries of entropically ordered colloidal crystals of extraordinary structural complexity have been predicted by computer simulation and observed in the laboratory. Colloidal quasicrystals, clathrate structures, and structures with large and complex unit cells typically associated with metal alloys, can all self-assemble from a disordered phase of identical particles due solely to entropy maximization. In this talk, we show how entropy alone can produce order and complexity beyond that previously imagined, both in colloidal crystal structure as well as in the kinetic pathways connecting fluid and crystal phases. We show examples of purely entropic fluid-fluid transitions that precede crystallization, just as liquid-liquid phase separation precedes crystallization in tetrahedrally bonded molecular liquids and in protein solutions. We further show that, in situations where other interactions are present, the role of entropy in producing order may be underestimated. To understand these phenomena, and in loose analogy with traditional chemical bonds that produce order in atomic and molecular substances, we introduce the notion of the entropic bond. From the Stone Age to the Silicon Age, the materials available to humankind define the world in which we live. The materials of tomorrow will be designed and engineered on demand, where and when they are needed, with precision and personalization. Computer simulation and machine learning both have critical roles to play in creating this future. Already, they allow — from a nearly infinite number of possibilities — the inverse design of nanoparticle building blocks optimized for self-assembly into colloidal crystal structures with targeted properties. In this talk, we present a new thermodynamic computational approach to the inverse design of materials, and demonstrate its use in targeting colloidal crystals with arbitrary complexity, engineered phase transitions, and targeted photonic, mechanical, and other properties. We show how machine learning can be used to autonomously identify crystal structures in hundreds of thousands of simulations, as well as to identify key alchemical attributes of particles that correlate with colloidal crystal structure. We also discuss strategies for engineering protein superstructures via supercharging. This is the twelfth in a series of distinguished lectureships given in memory of Professor Dale Pearson, who was a faculty member at UCSB from 1987 through 1993. Professor Pearson received a B.S. in Chemical Engineering from Iowa State University in 1964 and then went to work at Firestone Tire and Rubber Company in their Central Research Laboratories where he became Research Engineer and Group Leader. He earned a M.S. in Chemical Engineering at the University of Akron in 1971 and a Ph.D. in Materials Science from Northwestern University in 1978. He then moved on to hold research positions at AT&T Bell Laboratories (1978-83) and at Exxon Corporate Research Laboratories (1983-87) before joining the faculty at UCSB as a member of the Chemical & Nuclear Engineering and Materials Departments. 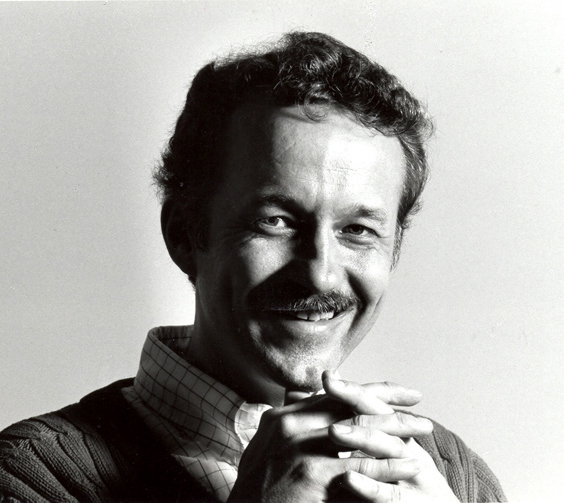 Professor Pearson’s research on the rheology of polymeric liquids, liquid crystals, and other complex fluids was recognized worldwide and led to two prestigious awards, the Dillon Medal from the American Physical Society in 1988 and the Charles M.A. Stine Award in Materials Engineering and Sciences from the American Institute of Chemical Engineers. Professor Pearson was an outstanding and enthusiastic teacher and had especially close relationships with his students and colleagues from all over the world. Perhaps the most telling insight into his character was that he was equally at ease and enthusiastic whether working with a beginning graduate student or a leading researcher in the field. He was truly a pleasure to work with, always providing stimulation without intimidation, generous with his praise, and selfless with his appropriation of credit to others. The Pearson Memorial Lectures are made possible by the Dale Pearson Memorial Fund, established at UCSB by his family, friends, and colleagues.